Roy’s interest in photography evolved from travel in six continents, yet he found his own community to be one of the most photogenic locations in the world. From Roy’s interest in photography evolved from travel in six continents, yet he found his own community to be one of the most photogenic locations in the world. From 2001 to 2009 Roy concentrated on capturing scenes of the Potomac River and the adjacent Chesapeake and Ohio (C&O) Canal. He then developed diverse bodies of work that include foreign and domestic destinations, architecture and design, people, nature, old places and things, and abstracts. But since 2012 his foremost passion is his ongoing project called “Mysterra” – illusions that convey fantasy, whimsy, and spirits. Roy’s considers the ultimate destination for a photograph to be a large fine art print, 12″ x 18″ or larger. 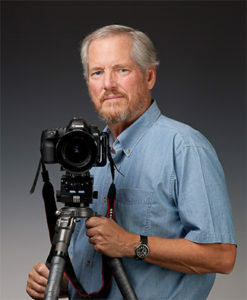 He has exhibited in numerous DC-area group and one-person shows, as well as in his own studio.